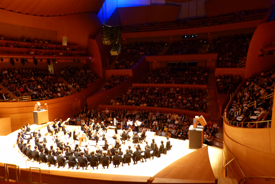 The Los Angeles Chamber Choir was established in 2005 with the goal of providing only the best possible performances for the people of Los Angeles and its surrounding areas. 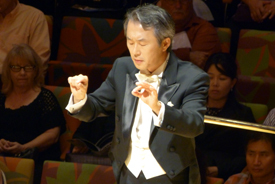 Since its beginning, the Los Angeles Chamber Choir has performed various repertoire; classical, modern, sacred, as well as folk music, with emphasis on sacred choral works from various periods. After rather busy past winter, Los Angeles Chamber Choir is now back! This time, LACC proudly presents J.S. Bach's The Passion According to St. John. On April 2nd, 2017, Los Angeles Chamber Choir will perform the entire Johannes Passion at the First Congregational Church. Please visit our concert page for details. Los Angeles Chamber Choir is a 501 (c) (3) non-profit organization. If you'd like to contact us for any reason, please click on this to be led to our contact page. 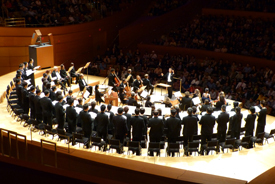 Los Angeles Chamber Choir is an open choir. If you are interested in joining our choir, you are welcome to do so with appropriate audition. You can ask for and obtain more information on joining our choir. We’d love to hear from you regarding all facets of our choir. If you have comments, suggestions, opinions on our previous concerts, or for any general questions, please feel free to contact us.